Sometimes color acts as the best inspiration for design. 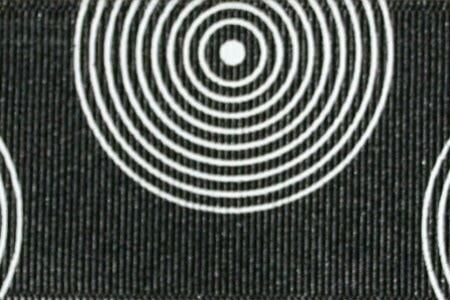 I put together a stream of consciousness study of 'black' to 'grey' to 'white' and have woven in some practical landscape ideas anyone can add to their home. I also can't help adding a bit of fashion too. I believe style can be translated to any medium. Martha Stewart has a wonderful collection of paint colors available through Home Depot. 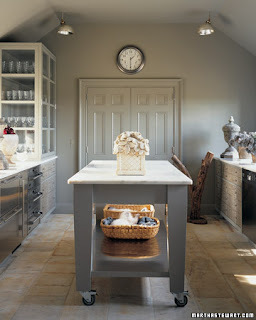 Visit her website for a study of paint colors in what she calls sophisticated neutrals. This kitchen paint color is 'putty'. I think that it would make a really nice exterior paint color. 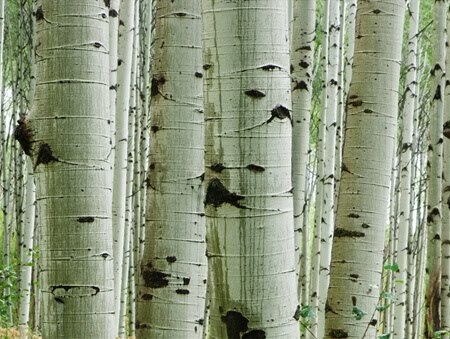 This kind of neutral background for an exterior really make green plant material pop. 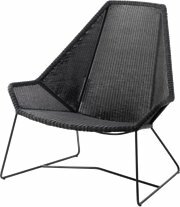 I just love the avant garde lines to this lounge chair! The chair is by Cane-line and is part of a collection called 'Breeze'. 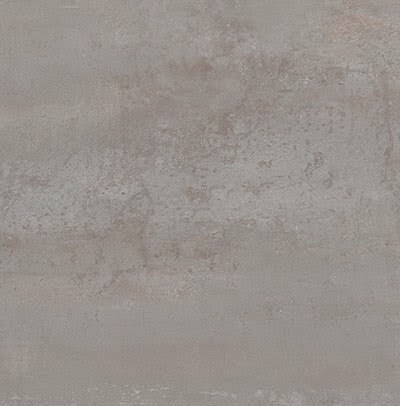 This is a 'sand finish' concrete in a Davis color called 'Mesa Buff'. I use this color combination often and love to add beach rocks at every opportunity I can. 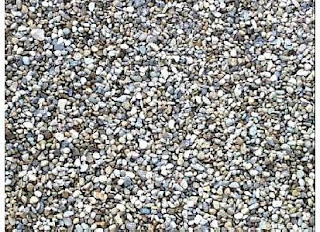 The dark grey beach rocks against the tan concrete make for an extra bit of garden detail. I found this bag a couple of months ago and just can't get it off my mind. It is a Classic Tote from Wm. J. Mills & Co Sailmakers in Greenport, New York. 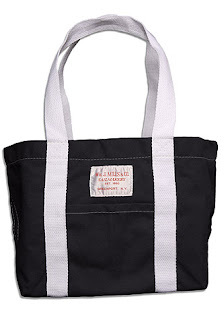 This company has been around forever and makes these bags out of sturdy canvas used on boats. I love the simple style of this bag, you just can't go wrong. It comes on lots of other colors too. I have always had a love affair with ribbons. The geometry of this one is so appealing! 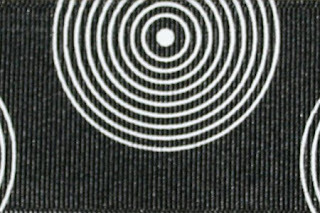 white circles and is from the Ribbon Spot. 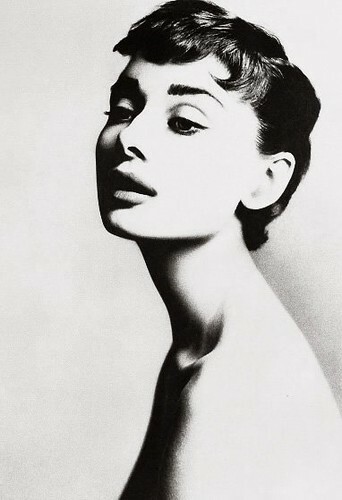 and I still just love the simplicity of it. 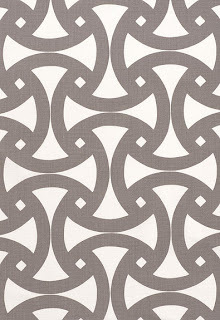 I just started using this ceramic tile on patios for Garden Studio projects. The price point is really agreeable and the color and texture is so clean. 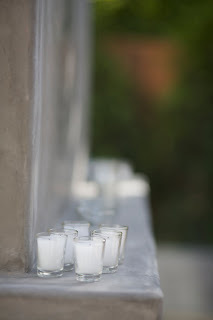 It is by Classic Tile and Mosaic and is part of a group of tile called Modern Limestone. 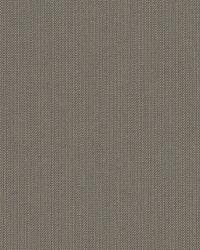 This one is called Steel Grey. always makes for a great garden solution. the clean contrast of black and white. Grey foliage adds drama and contrast. 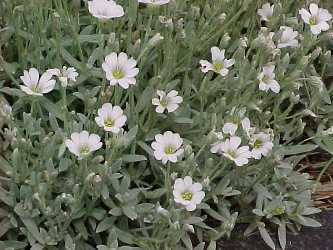 Cerastium tomentosum, Snow in Summer. Let your teak go grey! 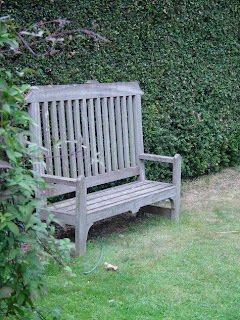 Teak can be professionally finished in natural grey. 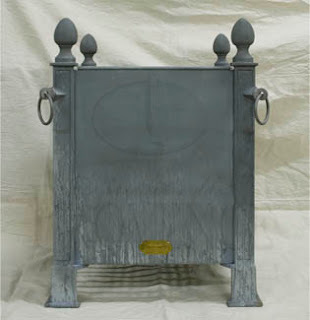 You can enjoy the grey color without the worn out rough wood. Doctor Teak is who I use. Perennials fabrics are always my favorite! This is called Bigger Stripe and the color is Pebble Beach. 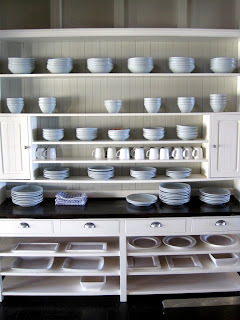 I love the systematic consistency of this kitchen. 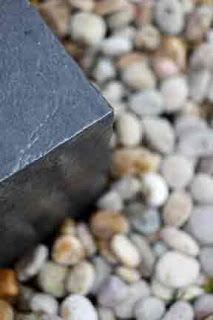 This is a Basalt (Graphite Grey) fountain designed by Garden Studio. at the base of the fountain. 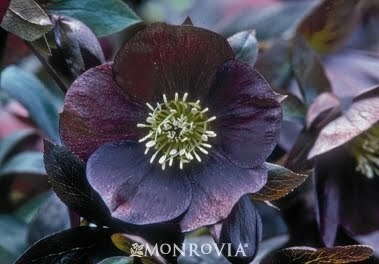 This Winter flowering plant is called Helleborus 'Mardi Gras Black Shades'. 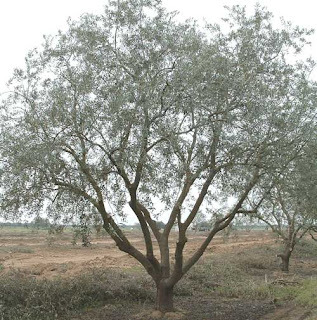 It likes full to partial shade and moist soil. It grows 12"-18" tall and 24" wide. 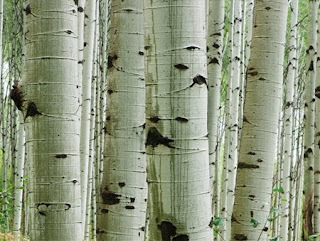 I am always looking for interesting shade plants and this one adds lots of depth! This galvanized metal planter is so simple and elegant. 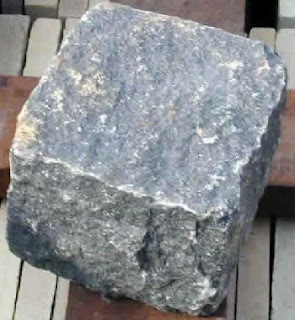 These cobblestones add a european patina to any garden! Sometimes the most simple details are the best. glass votives with tea lights. 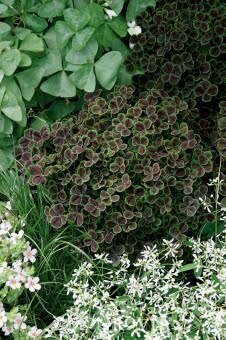 It is a perennial and gets to be 3" - 8" tall and 12" - 18" wide. This is a Garden Studio pool with French Grey plaster. This is a Garden Studio outdoor kitchen. 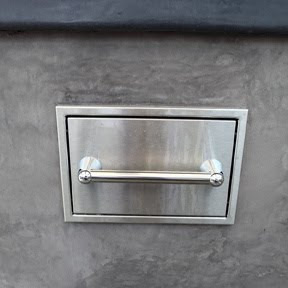 We used a smooth stucco finish on the face of the counter, Omega #405 and Davis Graphite Grey concrete on the countertop. 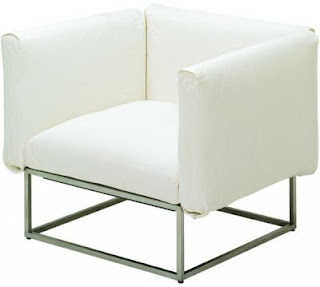 This Gloster Cloud Lounge Chair would look so sleek on a Bluestone patio. A Garden Studio Bluestone Patio. I love the drama of this tree. The grey weeping foliage really adds a unique focal point to a garden. 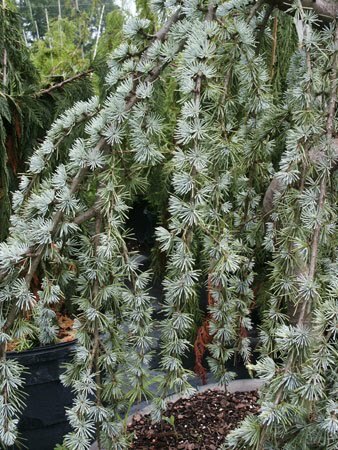 This is called Cedrus atlantica 'Glauca Pendula', Weeping Blue Atlas Cedar and is a slow grower to 15'. This grey concrete pot gives the illusion of sea shells. 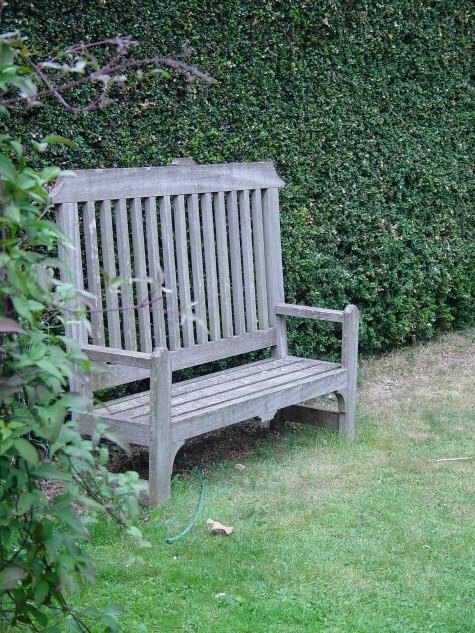 adds distinction to a yard large or small. 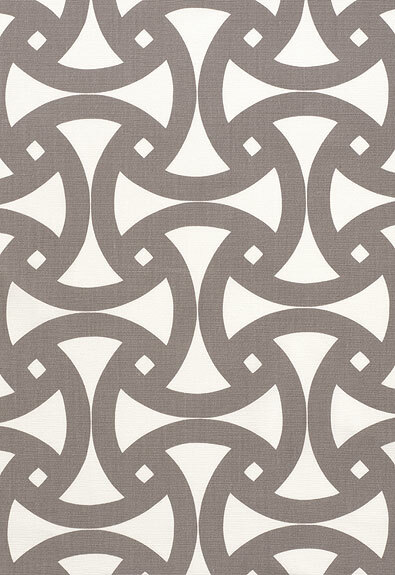 This outdoor fabric by Trina Turk is called Santorini and the color is Fog. Contact Garden Studio for a quote on our outdoor pillows. 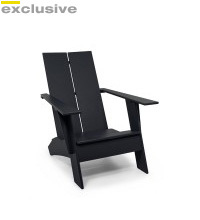 I just love this Loll Emmet Chair. 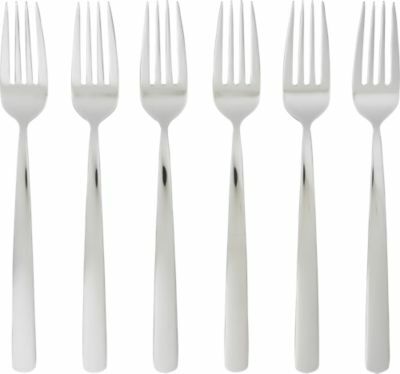 This is a modern take on the classic and is made out of 100% recycled plastic. The great news about this is no chipping paint! They are available through Room and Board. 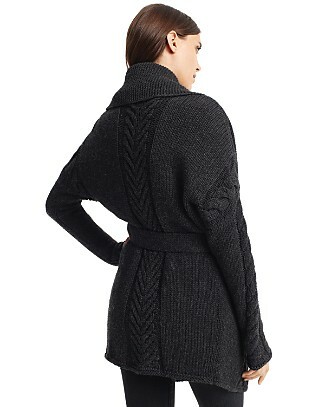 Okay, I just have to have this Graphite Cable Wrap Sweater by Vince this Winter. 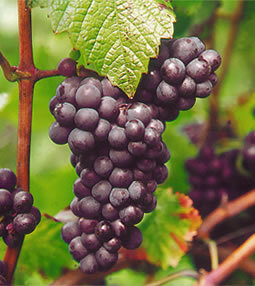 And a glass of Pinot Noir Wine? I like the shape of this Stemware from CB2. 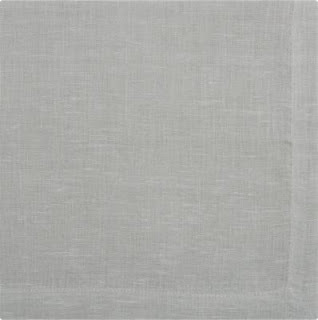 This Uno Grey Napkin from CB2 would make for a clean and crisp table setting. 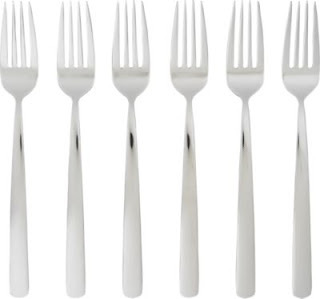 These Stainless Steel Party Forks from CB2 are modern and sleek. 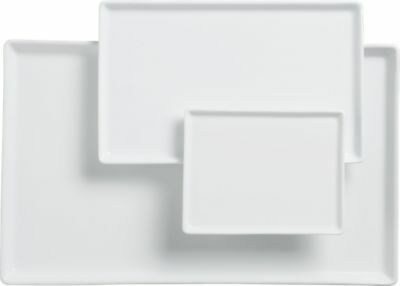 To finish off an elegant table setting use these simple platters from CB2. A fire feature does not need to be complicated. This Garden Studio firepit is simple yet charming. 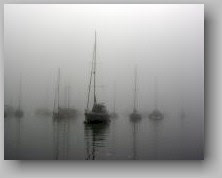 We used Smooth Coat Omega, color #401.
from Balboa Gallery of the fog sitting on Balboa Harbor. 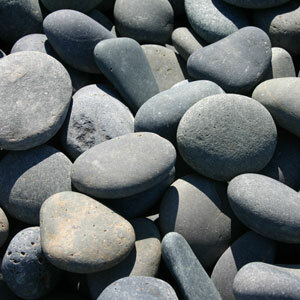 These rocks are a Garden Studio favorite. 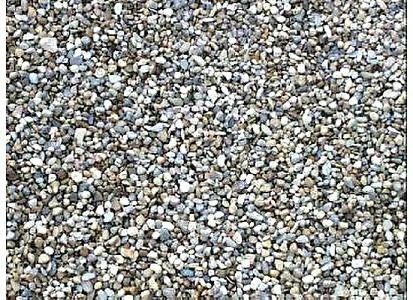 Mexican Beach Rock add dimension and texture to a garden patio. This is an all time favorite outdoor fabric color of mine. 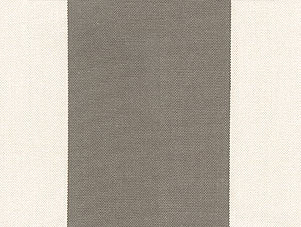 This Perennials fabric is 100% Solution Dyed Acrylic (practically indestructible) called Canvas Weave and the color is Storm. 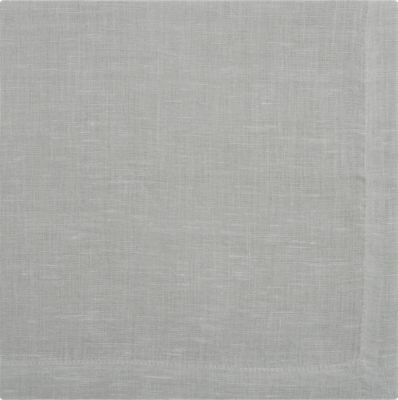 This looks great as a practical background fabric! The grey foliage combined with the dark flower on this Geranium is only part of the reason I love this plant so much. 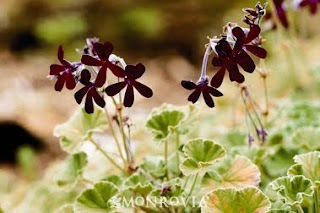 Pelargoniums are easy plants in the garden and this one needs only a little water once established. 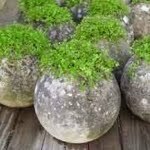 This is a simple concrete pot but the round shape makes it intriguing! 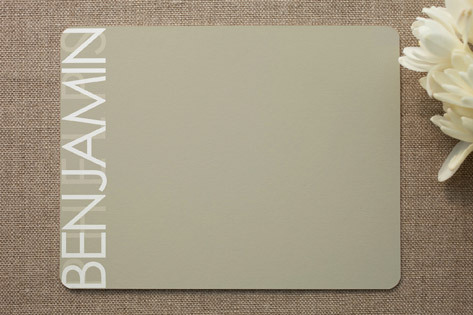 How about this Vertical Personalized Stationary in Putty Grey? 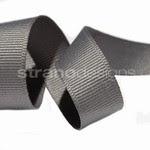 A solid grey grosgrain ribbon from the Ribbon Spot. 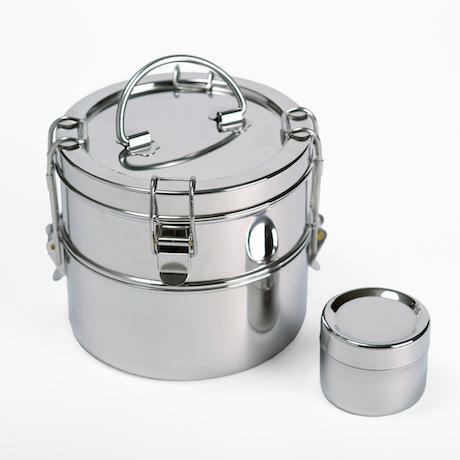 This Stainless Steel Lunch Kit is too cute and it is environmental too! From simple tone on tone Grey to the vivid contrast of Black to White designs without color can be exciting and soothing at the same time!